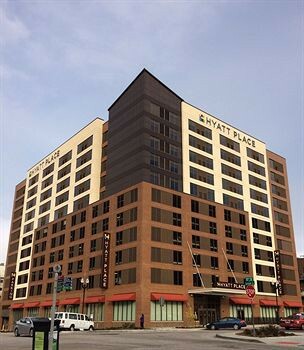 Property Location With a stay at Hyatt Place Omaha Downtown Old Market, you&apos;ll be centrally located in Omaha, steps from Bemis Center for Contemporary Arts and minutes from Gene Leahy Mall. This hotel is within close proximity of Holland Performing Arts Center and Orpheum Theater.Rooms Make yourself at home in one of the 159 air-conditioned rooms featuring refrigerators and flat-screen televisions. Complimentary wireless Internet access is available to keep you connected. Private bathrooms have complimentary toiletries and hair dryers. Conveniences include complimentary newspapers and coffee/tea makers, and housekeeping is provided daily.Rec, Spa, Premium Amenities Be sure to enjoy recreational amenities including a health club and an indoor pool. This hotel also features complimentary wireless Internet access, wedding services, and tour/ticket assistance. Getting to nearby attractions is a breeze with the complimentary area shuttle.Dining Satisfy your appetite at the hotel&apos;s restaurant, which serves breakfast, lunch, and dinner, or grab a snack at a coffee shop/café.Business, Other Amenities Featured amenities include a business center, complimentary newspapers in the lobby, and a 24-hour front desk. Self parking (subject to charges) is available onsite.